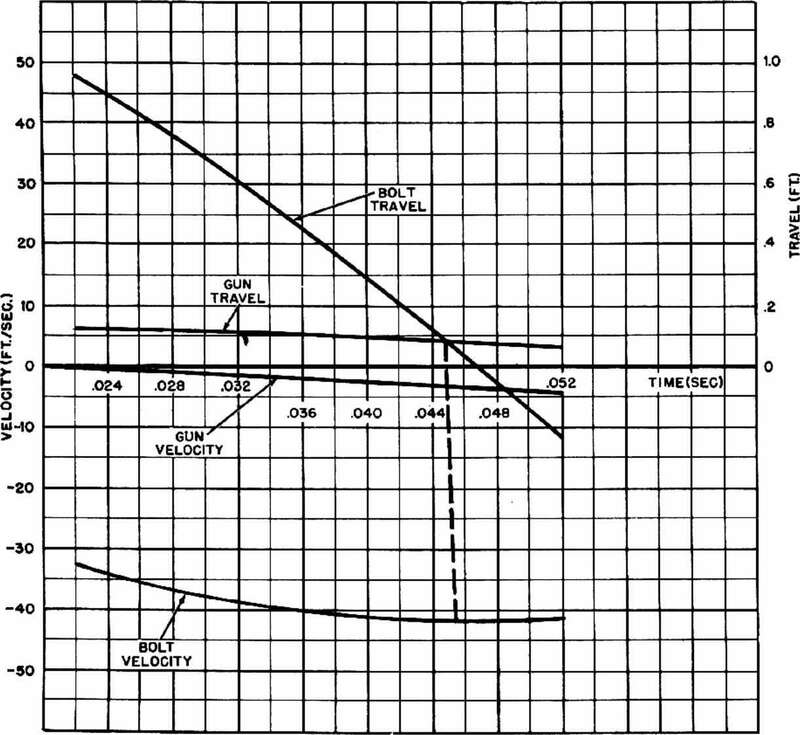 Figure 3-36- Extension of Time-Travel and Time-Velocity Curves for Interval Before Bolt Relocks to Barrel. The effect on the bolt of the spring constant for the bolt driving spring is determined by using the relative motion curve and following the procedure described in the preceding note. The resulting velocity curve is designated as step 5 in fig. 3-35. Integrating under this curve gives the bolt travel curve designated as step 5. Fig. 3-36 shows the travel and velocity curves obtained by using the data in fig. 3-35 to. extend the curves previously constructed. Note that the bolt travel values obtained from fig. 3-35 are subtracted from 0.96 foot, which is the displacement at which the bolt leaves the backplate. Similarly, the gun travel values are subtracted from 0.125 foot. The travel curves show that the bolt meets the barrel at 0.448 sccond. At this instant the bolt is moving at 42 feet per second and the gun velocity is 3.5 feet per second. 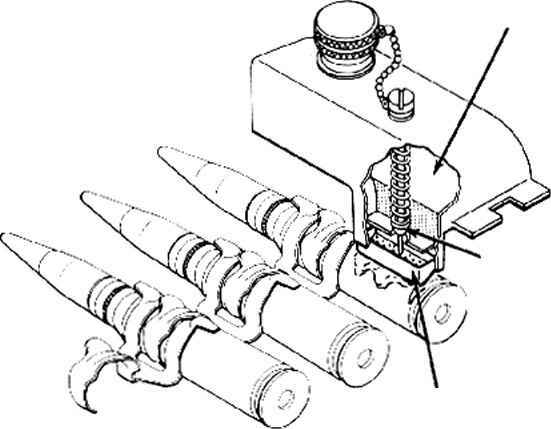 The displacement from the firing position at which the impact occurs is 0.085 foot.